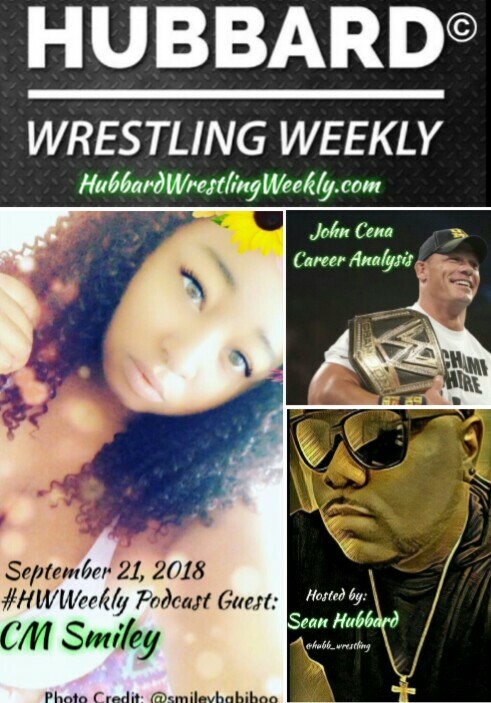 In this episode (show 16) of the Hubbard Wrestling Weekly Podcast, we welcome special guest CM Smiley, host of the TNTPodcast based out of Orlando, Florida. She and I have a in depth conversation taking a look back at the career of the OTHER 16-time world champion, John Cena. From his time on OVW in 2001, to his debut on Smackdown vs. Kurt Angle, epic rivalries with DX icons Shawn Michaels and Triple H, back to back Wrestlemania main events against The Rock, and his current part-time status as he transitions to movies and television… We cover it all right here on the #HWWeekly Podcast. Orlando, FL meets New York City right here on the 16th edition of the Hubbard Wrestling Weekly podcast. Click, listen, enjoy.